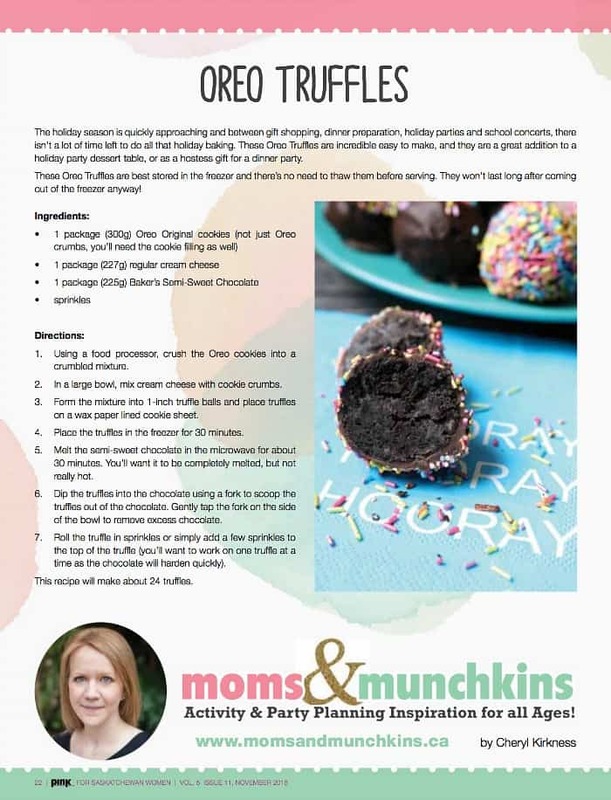 My latest dessert feature in Pink Magazine is perfect for parties – Oreo Truffles Recipe! These are really easy to make and they disappear quickly from a party’s dessert table so you may want to double the recipe. They make a great hostess gift for a dinner party and they package up nicely for a holiday bake exchange. I recommend storing them in the freezer rather than in the fridge. There’s no need to thaw them before serving them right out of the freezer. A great dessert to keep in the freezer for surprise guests! You’ll find the full recipe in the latest edition of Pink Magazine Saskatchewan. 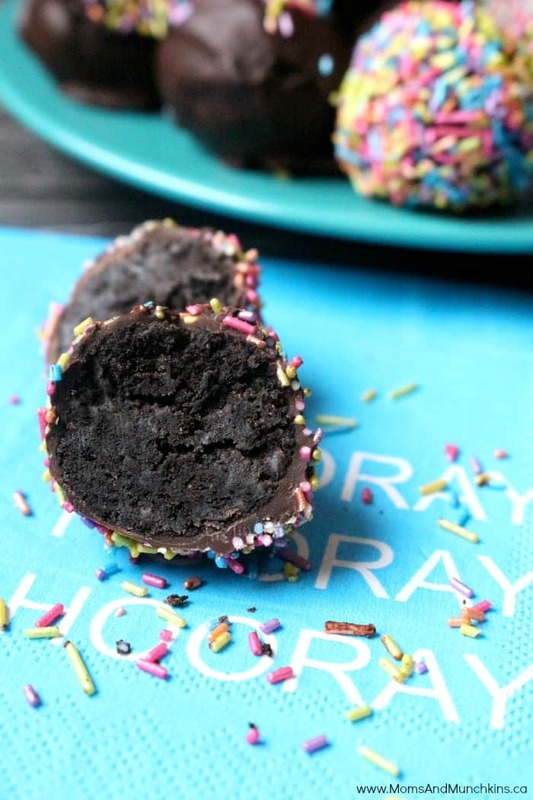 You can use any type of Oreos for this recipe – regular or special holiday flavours – and you can dip them in a chocolate of your choice (semi-sweet, dark chocolate, milk chocolate or white chocolate). I highly recommend using the Baker’s chocolate squares as the chocolate hardens nicely and doesn’t melt as quickly in your hand as chocolate chips would. 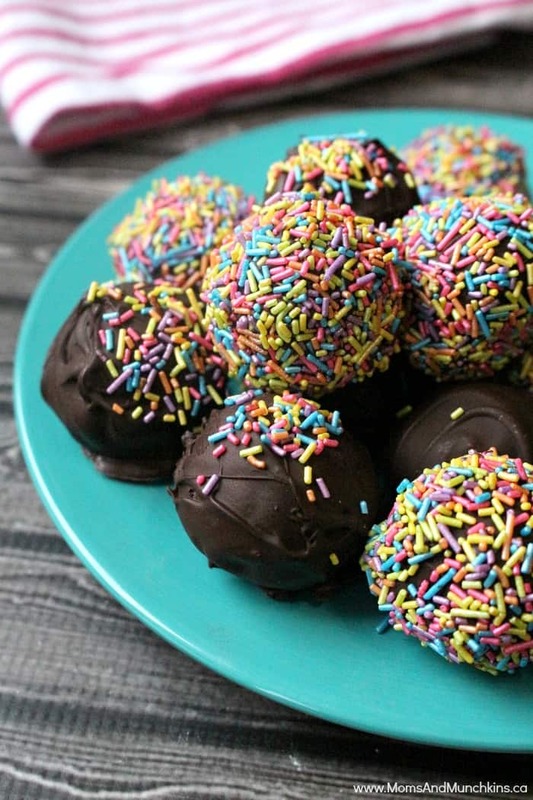 You can add sprinkles, coconut or crushed nuts to the outside of the truffle or just leave them plain. I roll mine in sprinkles because everything looks better with sprinkles! 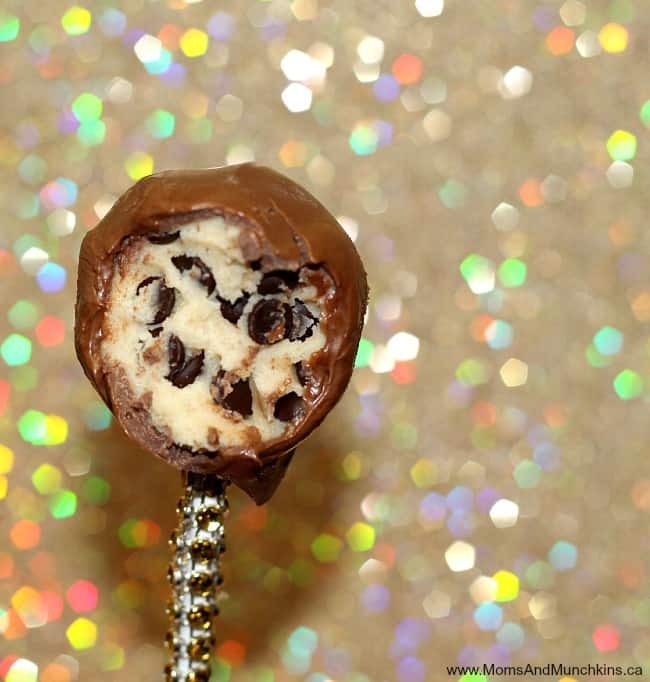 For another delicious truffle recipe that’s always a hit with guests, try this egg-free Chocolate Chip Cookie Dough Truffles recipe. This used to be my go-to recipe for work potluck parties and everyone was always asking me to share the recipe. In the picture below, you can see that I tried to use chocolate chips to dip the truffles in and it started melting quickly – this is why I recommend the Baker’s chocolate squares. For more delicious dessert ideas, visit our Irresistible Desserts page. We’re always adding new ideas for recipes and parties! Follow us on Facebook, Twitter, Pinterest and Instagram for the latest updates.